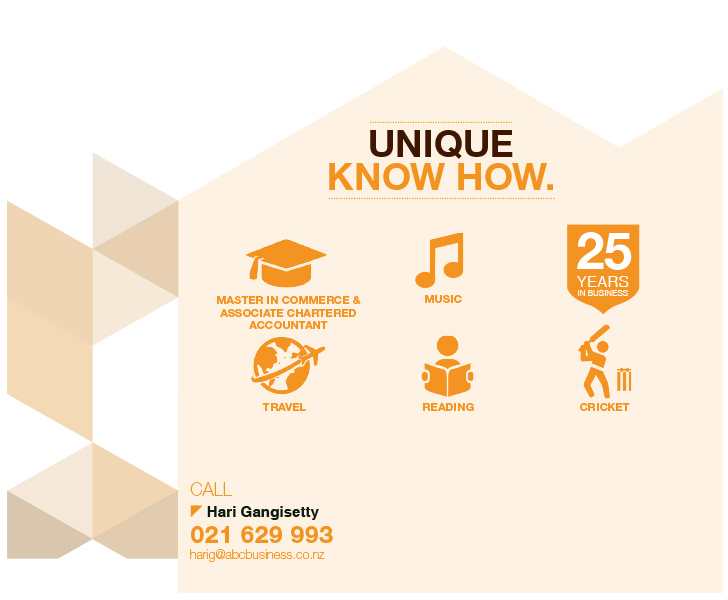 Hari has vast experience in business selling for the past 18 years in New Zealand. Good business sales do not happen by chance, they happen with the help and efforts of an experienced and committed Broker. After selling hundreds of different kinds of businesses of small and medium sizes over a long period, Hari has developed simple but very effective systems and tools to achieve best possible price in the shortest time with least inconvenience to the seller. Accounting qualifications (M.Com and Chartered Accountancy) combined with Banking and Small Business ownership experience has given practical and vital commercial knowledge that is essential to understand and appraise a business in an accurate manner to achieve the best possible value in the simplest means. Read more about what our clients say about Hari, here. Cash Flow Profit $75,000 p.a.